Rootsy Rock 'n Roll with a dash of soul, a touch of twang, a bit of blues, punk energy and rockabilly attitude. 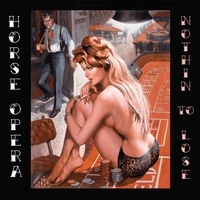 Horse Opera is a Vancouver-based band whose musical mix blends rootsy Rock 'n Roll with a dash of soul, a touch of twang, a bit of blues, punk energy and rockabilly attitude. Their original songs feature strong hooks, distinctive vocals and a twin guitar attack.